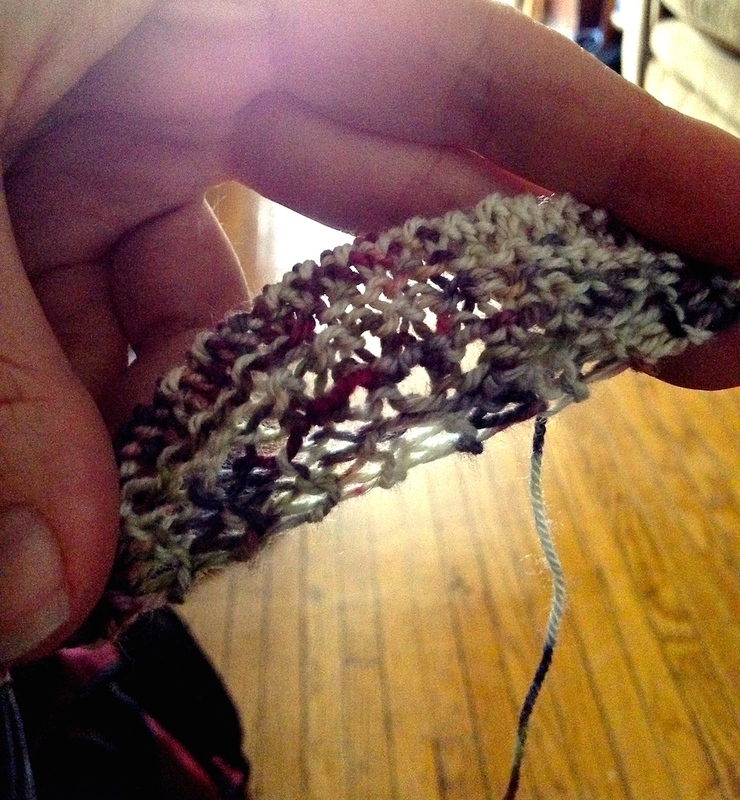 Newbie knitting: Jumping in Headfirst!! The beginning of a shawl! Doesn’t look like much but it’s the result of over an hour of knitting with the help of videos and online forums! I’m a newbie knitter and recently, after finishing a shawl that was completely garter stitch and yarn overs, I decided I wanted more of a challenge. A friend suggested a shawl pattern by Stephen West. Definitely a challenge for someone who has spent the past few months garter stitching over and over! It’s difficult but I think I’m getting it! I have been using YouTube videos and online forums to figure it out. It’s amazingly satisfying it is to finish a complicated row…a row where you were pretty much talking yourself through it and trying not to panic….to then count the exact number of required stitches on your needle at the end! Yep, did it right! Onwards and upwards….or downwards in the case of this pattern!